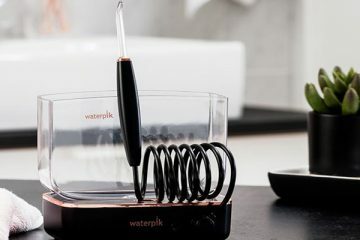 Brands like Waterpik is a blessing for people like us who absolutely hates string flossing. A few months ago, I got my tooth broken in an accident. Life has been harder since then. Every time I try string flossing, my gum would bleed. I couldn’t quit flossing either as it is an essential part of my dental care routine. Eventually, I had to resort to water flossers, also known as an oral irrigator. I found that water flossers are generally expensive, at least way costlier than string floss. I wanted a device for my home but I also travel a lot. I couldn’t afford to buy two separate flossers. That’s when this Waterpik Ultra Plus and Nano Flosser combo came to my rescue. 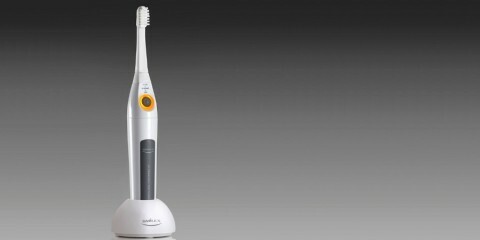 It includes a tabletop model (Waterpik Waterpik Ultra Plus Water Flosser WP-100) and a cordless Nano flosser (WP-270w/wp-305w). The countertop model is packed with tons of practical features. Plus, it doesn’t clutter my small bathroom space as well. The cordless Nano model would fit easily in my carry-on bag. 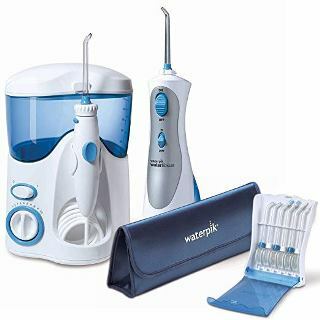 All in all, I have found the best value for money waterpik combo for my personal use. Now it’s time to figure out whether it will benefit you the same way it benefitted me. I’ll start off by listing out the top features of this combo set. 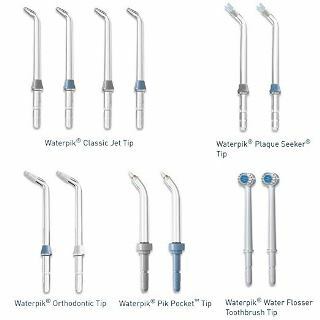 What Makes Waterpik Ultra Plus and Nano Flosser Bundle Special? 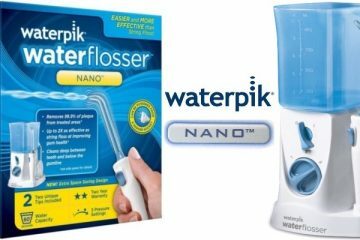 Is Waterpik Ultra Plus and Nano Flosser Combo Worth Buying? 10 pressure settings, ranging from 10-100 PSI. 220 Oz. or 650 ml. Tank. Includes 6 color-coded flossing tips. Operates on 110 V. Use a plug adapter to use it on any voltage. 3x times more effective than string flossing while cleaning around the braces, bridges, crowns, and dental implants. 50% more effective than string floss at removing plaque. Battery charger works on 110v socket. Will work on any voltage using a plug adapter. Once fully charged for 24 hours, you should get 14-15 uses. 1 Ultra Plus Flosser Unit. A tip storage which can contain 6 tips. Charger for the Nano unit. First of all, you are getting two different flossers at the price of one. I use the WP-100 in my bathroom and carry the Nano model when I’m traveling. Since it includes multiple tips, I have no problem sharing it with my family members. You can even buy extra tips if you want. The bent top of the tips makes it very easy to reach the hard-to-access corner of your mouth. However, that won’t be necessary you get total 10 piks free (6 with the WP-100 and 4 with the Nano). The countertop model is a class of its own. The fluid container on it has a capacity of 650 ml. You can floss for 90 seconds on moderate pressure settings. I never have to refill. The tank has a lid on it and is easy to clean. As long as you put the valve on it, it won’t leak. You can also dilute the water with hydrogen peroxide or mouthwash in the tank for deeper cleaning. The cord is long enough so I’m free to move my hand in any direction I want. The Nano model is designed mainly for traveling. It is half the size of WP-100. With 3 pressure settings and a small 7 Oz. tank, Nano has a lot of limitations. While it doesn’t do much, it is sufficient to maintain good oral hygiene on vacations and trips. The battery of this tiny beast is surprisingly powerful. I need to charge it only once in a week. While the countertop model is definitely not small, you don’t need a huge bathroom to store it. It will easily fit in medium size bathrooms. 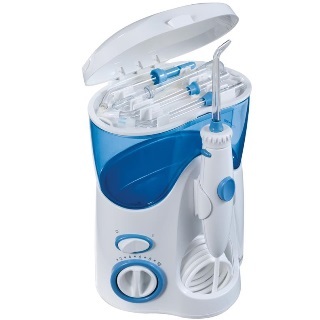 The white flosser unit with blue accents look simple, nothing fancy about it. Fortunately, looks have nothing to do with your dental well-being. It’s all about the ergonomics and that’s where WP-100 shines. The tank has a lid on top. Open it and you’ll see a small storage which can contain up to 4 extra tips. The lid also acts as a protective cap for the reservoir. Now coming to the base unit, you will find the power switch on the left side. Right below this, there’s the pressure dial. With each rotation of the dial, you can increase or decrease the pressure output by 10 PSI. You will find a 4 feet long power cord at the rear of the base. The underside of the base includes 8 rubber feet, 4 on each side to support the unit. The pik handle or wand, whatever you call it, is attached to the main unit with a 2 feet pipe. You can stretch it far enough to freely move your hand in any direction you want. There’s a water pause button on it, allowing you to pause and shoot the water from different angles. It also has a 360-degree rotating tip to provide thorough cleaning in every corner of your mouth. On the other hand, the Nano model also looks sober and sophisticated. No bells and whistles. The handle is covered with a rubber grip to prevent your hand from slipping. It is waterproof and therefore, can be used in the shower. The WP-100 has a 22 Oz. or 650 ml. Water tank with a lid on top. You can get almost 90 seconds of flossing time at the highest pressure setting. For a normal cleaning cycle, even if you have braces on, you don’t have to refill the tank. The container has measuring lines on it. So if you have to mix mouthwash or any oral medication with water, it will be easy. Detaching the tank from the base unit is a breeze. 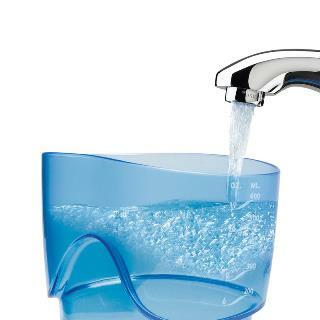 It has a wide opening which makes filling the container easy in the sink. You’ll find a valve at the very bottom of the container. Remove the valve before cleaning and put it back on when the reservoir is dry. It is very important to re-attach the valve otherwise the tank will leak water. The top rack of the container is dishwasher safe, not the valve. The 7 Oz. tank of the traveler unit has a sealed flap on it. Pop it open to refill. You might have to refill at least 3 times for a thorough cleaning. Thankfully, the self-contained container is well-sealed, thus preventing the water from escaping. Fortunately, its container is dishwasher safe as well. You’ll find the tip holder on both WP-100 and Nano on top of the handle. When you properly attach the tip to the slot, you should hear a click sound. After use, press the eject button on the rear side to remove the tip. 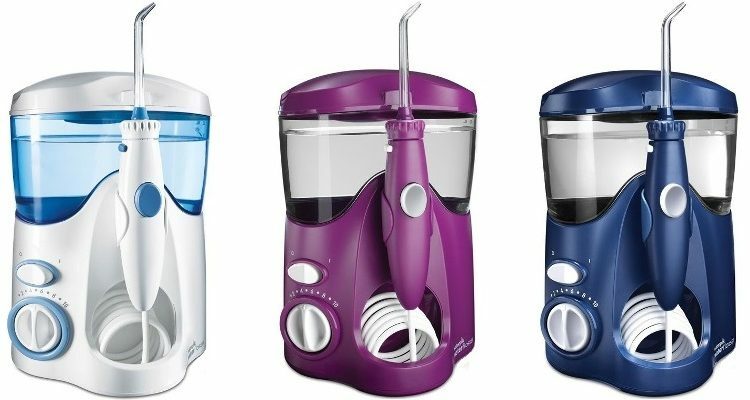 Waterpik Ultra Plus Water Flosser comes with 6 tips. On the other hand, you will get 4 tips with the travel unit. Below I have listed the types of tips and their respective functions. Classic Jet Tip: It is ideal for the majority for general use. It shoots a power jet stream of water to force out food particles and plaque from your teeth and gumline. The bent orientation makes it very easy to clean the underside of your teeth and braces. Orthodontic Tip: It has a cluster of soft bristles on it. It is said to be 3 times more effective than string floss on orthodontic implants like braces. Plaque Seeker Tip: It features tapered thin bristles. It is mainly designed to scrub off plaque from dental restorations like implants, crowns, veneers, and bridges. Pik Pocket Tip (with WP-100 only): Best for deeply cleaning periodontal pockets, furcation teeth, and sensitive gumline. Toothbrush Tip (with WP-100 only): It looks like a regular brush but is much more effective at removing plaque and stubborn food bits from the small gaps of your teeth. I would have really liked the addition of a tongue cleaner, though. After all, a good number of bacteria sits on our tongue’s surface. Cleaning the tongue is important to have fresh breath all day. The WP-100 offers 1- pressure settings, starting from 10 PSI to 100 PSI. Most Waterpik countertop models provide max 100 PSI pressure. If you have injured teeth, sensitive gum or you just got an oral surgery done, I’d advise you to start off with 10-20 PSI. It will gently massage your gum and eliminate junk from your teeth and dental appliances. If you have no such issue, go with higher pressure modes. It will blast out every single ounce of junk and plaque (99.9%) from your teeth. For the first time users, 100 PSI might feel overwhelming. So it is best that you start with medium pressure and gradually work your way up. The Nano pik offers 3 pressure settings, ranging from 45-75 PSI. The jet stream is not as powerful as the countertop device but it still gets the work done. I always use medium pressure as I have a broken tooth. The low mode simply doesn’t have enough intensity. Maybe only kids or people with badly injured teeth will benefit from it. It is hard to find any flaw worth mentioning in Ultra Plus except one. It does create quite a bit of noise. I rest the unit on a piece of cloth to reduce the vibration. About the WP-270W, it has a lot of limitations, being a portable device. Among the 3 pressure settings, only the highest mode packs enough punch for deep cleansing of normal teeth. My experience says yes; it is worth every penny you spend on it. It has a straightforward mechanism. Anybody, from kids to aged folks can use it with equal ease. Both units are properly sealed. By bringing your mouth close to the tip while flossing, you can easily avoid mess around the sink. 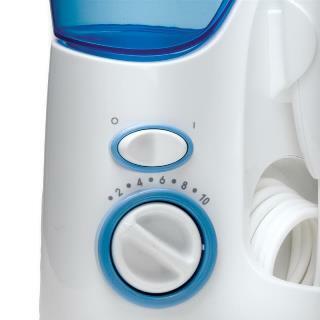 The WP-100 Ultra Plus unit is a great whole house oral irrigator. It already includes 6 tips, that too color-coded. If you want more people to use it, simply buy extra tips. The addition of extra storage space inside the container was a brilliant move. The Nano flosser is not excellent but is good enough to take care of your teeth when you are on-the-move. The battery is good, charging is easy in any part of the world with an adapter. You won’t even need an adapter if you are traveling to or around North America. You getting one countertop model and a travel-friendly pik at the price of one. Total 10 piks included in the box. Premium travel case for the Nano and its accessories. Storage for 4 extra tips inside the fluid container. The containers are dishwasher safe. WP-100 offers 10 pressure settings. Great battery life of Nano. 360-degree rotating tip on Ultra Plus. Only 3 pressure settings on Nano pik. Refilling the Nano flosser’s tank 3-4 times is a bit annoying. WP-100 creates a lot of noise and vibration. 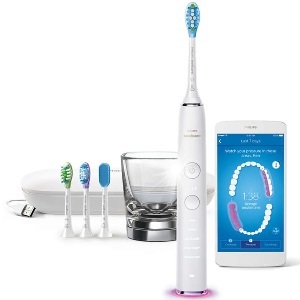 Waterpik Ultra Plus Water Flosser bundle is my first ever water flosser. I have to say that my experience has been great so far. My family members love it too and use it twice a day. My hygienist also noticed a visible improvement in my dental health. Most of all, I didn’t have to spend a fortune to own this. If your requirements are the same as mine, you can go for it. If not, Waterpik has tons of other options to offer.